BREAKING NEWS: Mayor Sarah sinisante ang 3 City Hall employees matapos mag positibo sa drugs! 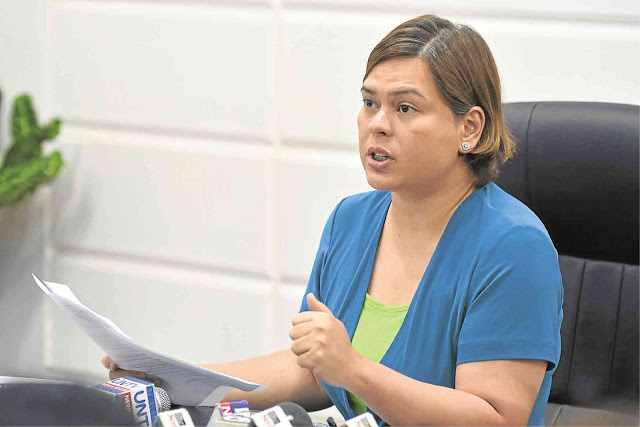 Mayor Sara Duterte fired three city hall employees, who had reportedly tested positive during the mandatory drug testing from which she earlier ordered. Action Officer of the City Anti-Drug Abuse Council (CADAC), Michael Denton Aportadera, said on Thursday that the dismissal of the three employees came after further testing confirmed their use of illegal drugs, particularly shabu. Urine samples of the said employees tested positive for illegal substances, and as a consequence, they “should face termination from service,” Aportadera said. A Dangerous Drugs Board regulation released this March also mandated dismissal of service of any government official or employee found positive for use of dangerous drugs even on their first offense. “Mayor Sara wanted to ensure that government employees are living healthy lifestyles and that they are not users of illegal drugs,” he added. Both Duterte-Carpio and her brother, Vice Mayor Paolo Duterte, went through the same random test in October and fielded negative results. Aportadera said some 12,000 employees will undergo in the local government unit’s succeeding random drug tests after the initial testing last month.